Home Tags Posts tagged with "bragg apple cider vinegar"
It’s no secret that we eat lots of vegetable, and zucchini noodles, or zoodles, are great because of their versatility. 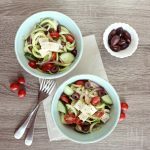 This greek zoodle salad was such a hit, I’ve made it 3 times in the past week. It’s that good! 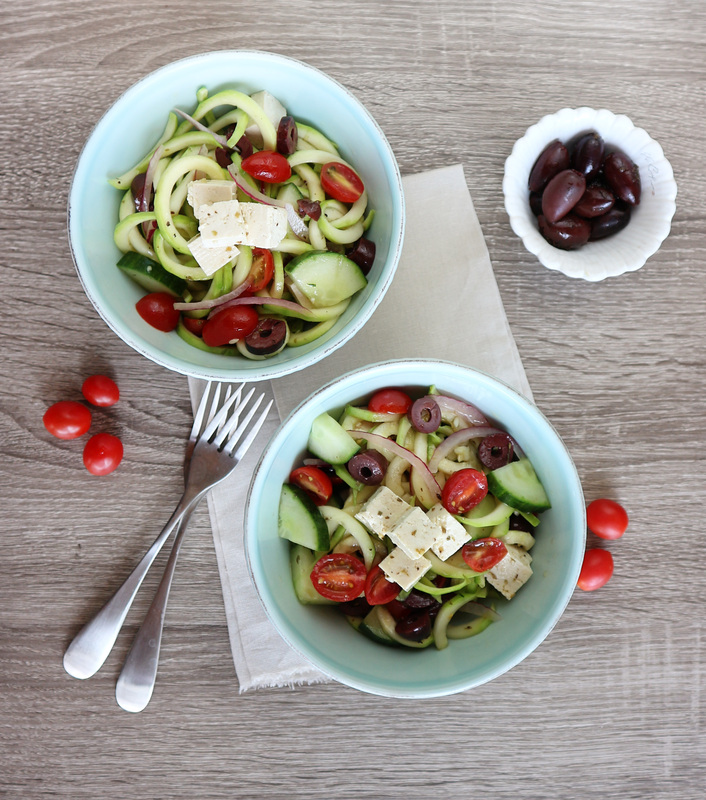 shake up your traditional greek salad and use zucchini noodles, zoodles, instead of lettuce. 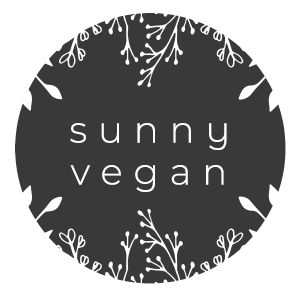 this vegan salad is light, filling and travels well making it perfect for your next summer picnic or barbecue. cut zucchini into zoodles or strands using a spiraling tool or vegetable peeler. in a large bowl, combine zoodles and remaining salad ingredients. combine all ingredients in jar and shake, or whisk together in a bowl. in a medium sized bowl, combine Bragg through oregano and whisk ingredients together. add cubed tofu and allow to marinate for 10-15 minutes. drain liquid and add tofu and dressing to salad, mix well.